Five ways to avoid spoilers so you can say goodbye to the AMC hit on your terms. 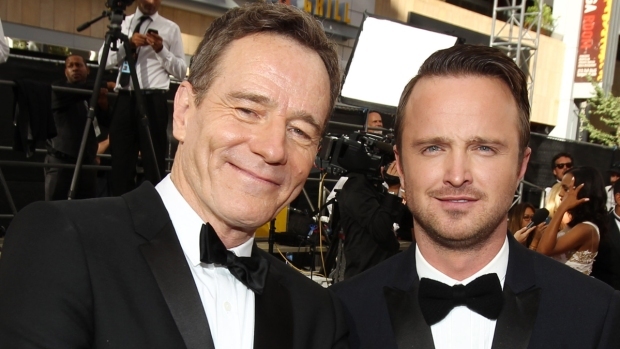 The "Breaking Bad" series finale has arrived and you couldn't tune into Sunday's broadcast. Tread lightly. For anyone who has been a week or two behind and needed to catch up on the final, nail-biting episodes, it's been easy to experience Walt-level paranoia. Twitter, Facebook and Tumblr have been flooded with shocking developments after each "Breaking Bad" airing. With the highly anticipated Sept. 29 series finale, there are no guarantees that real-world spoilers from friends or co-workers can be avoided this time. You'll probably have to stay home from work or school on Monday. "Breaking Bad" beat out the online series "House of Cards" to win best drama at the Emmys, while "Modern Family" picked up its 4th consecutive best comedy Emmy. Feeding a online feline frenzy and protecting fans from spoilers is the Unspoiler.me extension, available for Chrome. Now, instead of finding out Walt's fate, Facebook and Twitter users can scroll through feeds and see pictures from the "TabbyCat" Instagram feed. Even though the replacement image feed defaults to show "TabbyCat," dog lovers need not fear. To change the replacement images, users simply pick another topic, set the feed and bask in Instagram's most recent pictures of whatever it is you like more than cats. Unspoiler.me is only one of the extensions available from Unwhatever.me. If you don't want to see a friend's posts on topics ranging from babies to food to animals, pick and choose what displays by downloading any or all of the available extensions. For someone who would rather that tweets and posts get blocked without anything taking their place, the Silencer extension for Chrome achieves the same thing as Unspoiler.me, minus the cats. Add phrases for Silencer to "mute" and they will be blocked from feeds. Anyone who uses Tumblr knows that the popular blogging and image sharing site can be a fast track to getting a surprise plot twist spoiled. To avoid this, the Tumblr Savior extension for Chrome lets users add words to a "Black List." Anything input there will be banned from the Tumblr feed, protecting people from learning the revelations of Sept. 29. There is also a "White List" option (not named for Walter White) which elevates posts about certain topics to make sure they are seen. For someone who already uses TweetDeck, there is a somewhat-hidden feature that can block tweets from users you pinpoint that contain certain words. Users can type words, hashtags or phrases and nothing containing the blocked items will appear when browsing Twitter through TweetDeck. To activate the blocking feature, you need to click the "Settings" tab in the upper right-hand corner of the application and access the "Global Filters" that will appear at the bottom. Then filter away. But users beware: setting the filters only blocks the posts from appearing in TweetDeck and will have no effect when looking at Twitter through a browser. THOUGHT WIKIPEDIA WAS OFF LIMITS? The Wikipedia Spoiler Hider provides salvation for the Wikipedia lovers out there. Instead of setting specific parameters, the Firefox add-on uses set keywords to block plot points from any page dedicated to a show, movie, book or story. To see what has been blocked, add-on users simply need to click the "Toggle Potential Spoilers" link that appears in place of blocked information and the page will refresh and appear as normal. While it might seem counter-intuitive to look at the "Breaking Bad" Wikipedia with the finale so soon, this add-on is a potential lifesaver for anyone who needs to get somewhat of a fix but doesn't have time to sit down and catch up.